Nebraskans will lose if efforts to repeal the Affordable Care Act succeed. 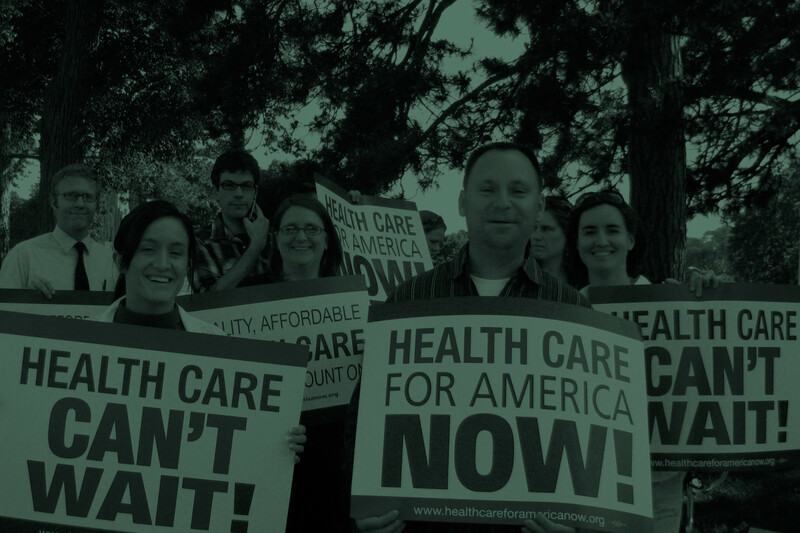 Today the House of Representatives will hold a vote to repeal the Affordable Care Act. Yet, the vote takes place at a time when less than 25% of people support total repeal and majority want to leave the law as is or do more. These numbers reflect a recognition that the Affordable Care Act may not be perfect, but it takes some critical steps forward in addressing the problems in our health care system and moves our country toward a system that provides more control to individuals, more security, and a focus on wellness to help control costs. See our Letter to the Editor in the Omaha World Herald today. The ACA prevents insurance companies from imposing big hikes in premiums with no recourse or accountability. It offers parents the choice of providing health coverage for a child after he or she finishes school, and allows seniors to get the care they need, including free preventive care, lower cost prescription drugs, and Medicare that they can count on. It gives small business owners tax credits to make employees’ health coverage more affordable. And, it provides our states with much-needed federal dollars to help fund important public health initiatives. The ACA protects the 1.1 million Nebraskans with private insurance by ensuring value for our premium dollar. The law requires insurers to explain premium rate hikes, prohibits lifetime limits on policies, and most importantly, requires insurers to spend 80 to 85% of the premiums we pay on actual medical care. The ACA protects our children by prohibiting insurers from denying coverage to children for pre-existing conditions. The ACA protects the 127,000 Nebraskans who are at risk of losing their coverage due to a new illness by prohibiting insurers from dropping coverage when someone gets sick. Under the ACA, insurance companies are required to cover recommended preventative procedures such as mammograms, colonoscopies, or flu shots without cost sharing. These preventative screenings not only save lives, but are a critical part of bringing health care costs down because they catch serious illnesses when they are less expensive to treat. The law also allows 270,000 Nebraska seniors to receive an annual check-up without paying a co-pay. 15,757 Nebraskans on Medicare will also be saved from the doughnut hole – the point at which their Medicaid drug coverage stops for a period of time and seniors have to pay thousands of dollars out of pocket (which many do not have) for critical prescriptions before coverage picks up again. The ACA provides support for prescription drug expenses for Medicare beneficiaries who are experiencing a gap in coverage. The ACA protects young adults by allowing parents to keep their children on their own insurance until the child is 26. If the ACA is repealed, 5,830 young Nebraskan adults would lose coverage under their parents’ insurance plans just as they graduate from school and begin looking for work. 33,100 small businesses in Nebraska can benefit from tax cuts that allow them to provide coverage to their employees. This program has already been successful nationally with the number of small businesses of 10 employees or less offering health care coverage up 14% over last year. Nebraska has also received over $18 million in federal funds to work on both implementation and critical measures like workforce development. Additional helpful provisions will be implemented in the coming years. For example, by 2014 insurers will not be able to deny you coverage for pre-existing conditions or to charge you more just because you were sick years ago or are a woman. And tens of thousands of uninsured Nebraskans will finally have meaningful access to coverage. These are all provisions that go to the heart of the biggest problems with our current health care system – problems that the vast number of Americans wanted and needed to have solved. Repeal of the law and the provisions that are helping so many Nebraskans is not only short-sighted, but irresponsible, particularly when repeal is the only answer being offered. Our health care system was not sustainable economically and hindered competition. We cannot and should not go back to a broken system. Changing our health care system is hard and we should work together to continue to improve the new law. Repeal will not do that. We hope Congress will choose to move us forward, rather than retreat, and sacrifice the benefits that Nebraskans have already gained from the ACA.